Batman Ninja (film, 2018). A 2018 Japanese animated superhero film with "PG-13" rating by Warner Bros. Home Entertainment/Warner Home Video. Directed by Junpei Mizusaki. Official Trailer. 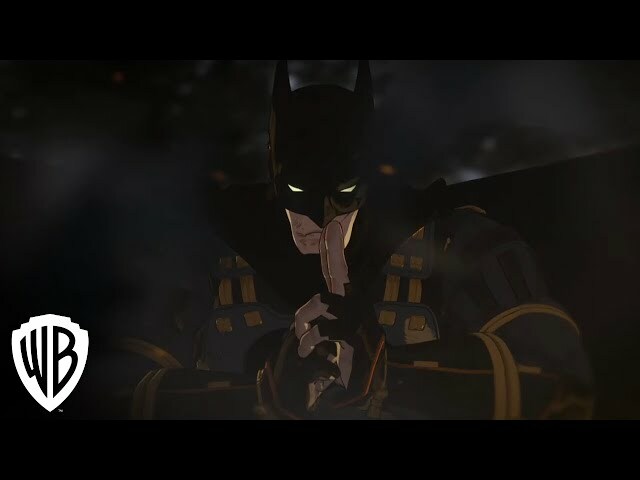 Batman Ninja is a 2018 Japanese animated superhero film directed by Junpei Mizusaki. 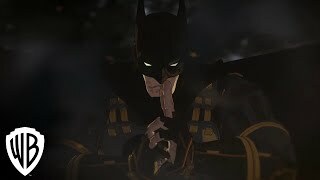 "Batman Ninja" trailer (English language). While battling Gorilla Grodd at Arkham Asylum, Batman is caught in Grodd's Quake Engine time displacement machine and sent to Feudal Japan. There, he is chased by samurai working for the villainous Joker. During his escape, Batman meets up with Catwoman, who reveals everyone else arrived two years earlier (due to Batman being in the outermost area affected by the Quake Engine). He learns from her that all of Gotham City's top criminals have become feudal lords after deceiving the Sengoku daimyō, battling each other until only one state remains. In order to stop the villains from changing history, Batman and Catwoman must get to the Quake Engine in Arkham Castle (formerly the asylum). Batman discovers that Alfred Pennyworth is also in the past and has built a Batcave outside Edo. When the Joker's troops ambush the hideout, Batman storms his way in his Batmobile towards Arkham Castle, which transforms into a giant robot fortress. Just as Batman confronts the Joker, he is forced to leave and save a mother and child below from being crushed by the robot's hand. He transforms his Batcycle into an armored suit to defeat a sumo Bane and stop the robot hand, only for the mother to reveal herself as Harley Quinn and knock him down. As Batman is surrounded by the Joker's minions, he is suddenly whisked away by ninjas led by Eian of the Bat Clan of Hida. He learns that the Bat Clan helped Nightwing, Red Hood, Robin, and Red Robin upon their arrival, and that the clan had followed a prophecy of a foreign bat ninja restoring order to the land. Robin gives Batman an invitation from Grodd to a nearby hot spring. There, Grodd explains that he intended to send the villains far away so he could take Gotham for himself, but Batman's interference sent them all to Feudal Japan instead. Batman and Grodd agree to work together to return to Gotham. The film Batman Ninja was scheduled to be released by Warner Bros. Home Entertainment and Warner Home Video on April 24, 2018 (United States) and on June 15, 2018 (Japan). Batman Ninja got high rating from critics. But the audience dislikes the film.